You know when you’ve smoked some really good weed. You just don’t forget the quality and clean high you get from that. There’s nothing in the world quite like top-shelf pot, but not everyone can afford to pay an arm and a leg at a dispensary for it. Here’s some good news: you too, can grow top-shelf weed at home. But learning how to grow cannabis properly takes time, just like other skills. You will be making lots of mistakes, but in the process it will give you the knowledge that you need to spot problems early on, and how to correct them as quickly as you can. There simply is no substitute for the knowledge that experience gives you as a cannabis grower. It also pays to invest time in research. 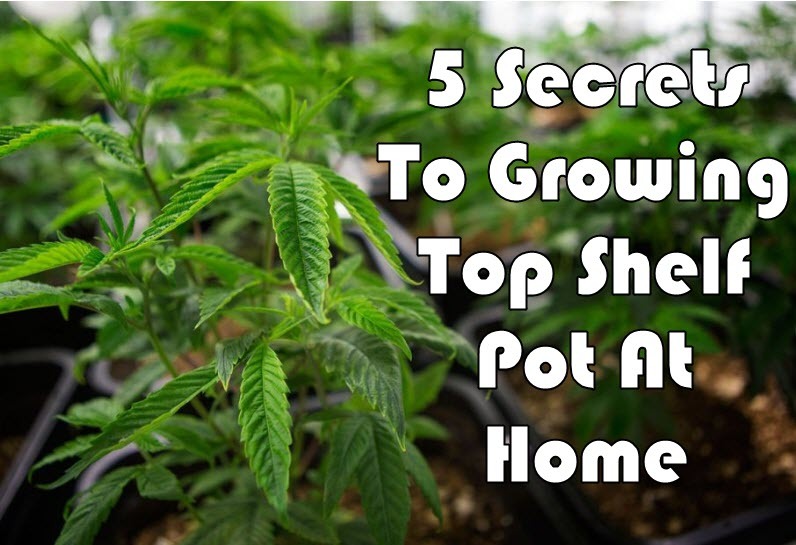 In this article, we’re going to share with you the secrets to growing those big, sparkly top-shelf buds we all love – which you can do right from your own home. We’re going to be straightforward here – you can’t produce top-shelf bud if you’re using mediocre or low-quality seeds. Good seeds are crucial to growing quality buds because they spell the difference from a plant that is just getting by, to one that thrives given the right conditions. Choose seeds from strains whose effects, taste, and aroma is desirable to you; there are easily thousands of different strains in the world; you just have to make sure that you choose the right ones. The key to starting with good genetics is by buying from reputable breeders and seed banks.